Stage 1 takes in the Devil’s Beeftub climb, among others, and will see the battle for the KoM jersey erupt straight away. The delightfully named Beeftub is so called because it was a hiding place for stolen cattle. This climb seems fairly typical of those seen in South Scotland that have been regularly used by the ToB and form the meat of the Tour Doon Hame Premier Calendar race that is held in August. They’re a long way from the Zoncolan or Angliru, but are raced at high speed, making for exciting action that is tough for the riders. Profiles and full race results for each rider can be found here. Has the team prepared specifically for the Tour of Britain? We have had races prior to the Tour of Britain which help build a pyramid of form to the event. The Tour of Utah was part of that. Then we have a chosen to not only race at altitude in Utah but then follow it up with a training camp at altitude in La Molina, in the Spanish Pyrenees. What is the main challenge of the Tour of Britain 2011? Being attentive! With six man teams you need to be very alert. If the right combination goes you won’t see it again. We can’t afford to miss those scenarios. Which do you think will be the toughest stage of the Tour of Britain 2011 for you? Stages 5 and 6 look dangerous and will require concentration. The roads are up and down all day and narrow at times. It’s hard to chase and you can waste a lot of energy. What are your expectations for the Tour of Britain 2011? To be competitive. A stage win and a top 3 overall on the GC is possible. Where do you as a team feel you will finish? If we ride as the strong team we are, then we should be in with a stage win. We have the capabilities of finishing as top team overall. How often does the squad train together? They race together all year so they all have familiarity with each others strengths. The long list for the Tour of Britain attended a training camp a week prior to the start to prepare. Is there a rationale why there is only one British rider in the squad? The Tour of Britain is a very important race for us and a great shop window for Endura. If we have riders, foreign or British, who are performing at their best at the current time they will get a ride – simple. British or not does not make any difference. We have currently the best selection lining up. The 6th person was a very difficult choice. We need to cover options, meaning we need riders for Overall (which we have) and riders for Sprints. Ian Wilkinson fits the latter category and is British! The only other British rider who was in contention was Robe Partridge and he was 8th overall last year, so it shows how much the level of the team has risen. Everyone has earned there place. How many staff will be backing the team up? Two DSs, two soigneurs & two mechanics. 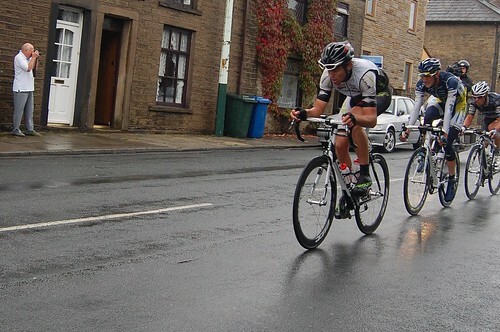 In your opinion, how can the smaller teams make their mark on the Tour of Britain? You, just have to be ready and be willing to fail to succeed. Be aggressive and take chances.